Shining Elegance Spacer Clip is rated 3.0 out of 5 by 43. Rated 1 out of 5 by MrsMeans from Disappointed I was so happy to be able to take advantage of a great promotion to spend $100 and get a free bracelet! However, my excitement has quickly (within 17 days) turned into disappointment as these clips become unclasped regularly. I purchased two clips to wear on a bangle and was assured that these were the best option because they have "rubber" or some material in them to make them not slide on the bangle. Both clips have become unclasped at times and have been "lost." Thankfully both times they have been found, this last time after leaving a meeting in my office and sending out a departmental email for a search. Overall, it is safe to say that I am disappointed with these clips and think people should think twice before purchasing these. Rated 3 out of 5 by jlcp from It fell off! 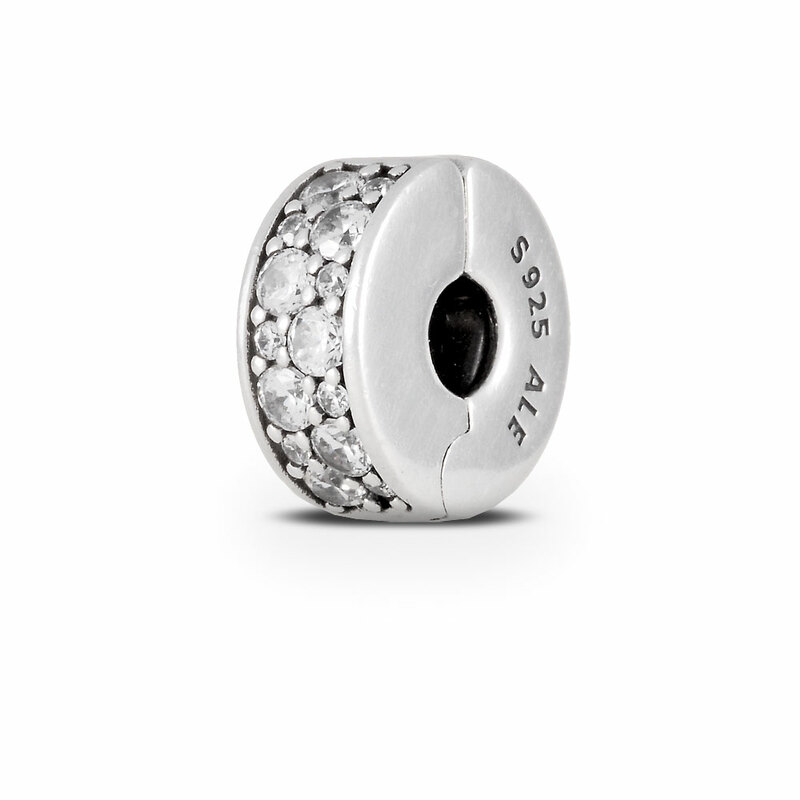 I loved this and bought two of them for each end of my string of charms but I've already lost one of them. Didn't see that other people had the issue of them coming off as well. Wondering if I should even worry with replacing it or just try something else. Rated 2 out of 5 by Lwylwybug from Beautifully but cheaply made. I bought two of these with my husband for my birthday. One fell off shortly after. Luckily, I found it and securely attached it. It fell off again today and I didn't realize it. I have no idea where it is and I'm devistated. Not worth the money. Rated 3 out of 5 by Rose1124 from Lost my Charm :( I'm so disappointed, I recieved a bracelet with 2 of these clips on it as a gift, thought it was beautiful (I still do). I lost one clip and cannot find it at all. I really hope my husband doesn't notice the missing piece. I'm very hurt, and now reading the reviews I see this is very common. I guess hubby should have read the reviews before buying. Rated 1 out of 5 by Zoolander36 from Poor construction I got this clip not 4 months ago and just like the other reviews said, sure enough it fell off my bracelet and was lost today. Extremely disappointed because I expect the quality to reflect the prices.